I have found that many Catholics are confused about genetic testing and the ethical issues that surround it. So I have decided to write a two part series on the ethics of genetic testing. Part 1: Genetic testing is not all bad. Many Catholics are wary of the Human Genome Project (HGP) and genetic testing, and the knowledge they provide. Of course, there are serious ethical implications, but the HGP has provided a wonderful opportunity to prevent and even cure disease. As genetic testing becomes more commonplace, we will have more information on diseases that one may be at risk to develop. If discovered early enough, we can make choices to help prevent or delay the onset of that disease. A colleague’s battle with cancer is a good example of the use of genetic testing to prevent disease. We now know that mutations in the BCRA1 or BCRA2 gene put a woman at high risk of developing breast or ovarian cancer. My colleague’s mother, aunts, and cousin had breast or ovarian cancer. She, herself, was an ovarian cancer survivor. When the test for mutations in the BCRA1 gene became available, she found that she did have the mutation. Her sister was also tested, had the mutation, but had yet to develop cancer. Knowing she was at high risk, the sister underwent preventive surgery and now regularly gets screened for tumors. Hopefully, she will never develop cancer, but if she does, it will be caught early, increasing her chances for survival. 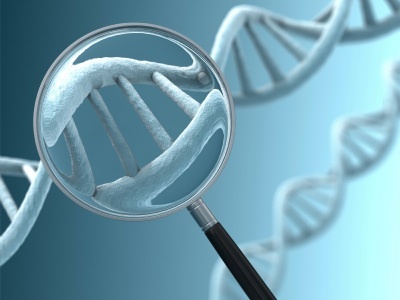 Doctors often use genetic testing to help treat their patients. A good example is the test for a mutation in the Factor V Leiden gene. Factor V Leiden is the most common hereditary blood coagulation disorder in the United States. Patients with a mutation in this gene are at greater risk of developing potentially deadly blood clots. If a doctor knows that a patient has an increased risk of developing a clot, they can prescribe medication or monitor the patient closely after surgery. Genetic testing provides information on Hereditary Hemochromatosis (HHC), the most common form of iron overload disease. HHC is an inherited disorder that causes the body to absorb and store too much iron. If the disease is not detected early and treated, iron will accumulate in body tissues and may eventually lead to serious problems. Mutations in the HFE gene are the thought to be the cause of HHC. A genetic test can identify patients who are at risk for developing HHC before they begin to have symptoms. In fact, there are countless such conditions and diseases, linked to genetic factors, that will be positively impacted by genetic testing, including diabetes and Alzheimer’s disease. Genetic testing has also created an exciting new field called pharmacogenetics, the study of how people’s genetic make-up affects their response to medicines. Because each person metabolizes drugs differently, it can take a lot of trial and error before a doctor will find the right drug or combination of drugs and dosage(s) for a particular patient. Scientists continue to find genes that regulate the metabolism of drugs. Discovering the genetic profile of how a patient may react to a class of drugs will facilitate the doctor’s decision on which drug and what dosage is appropriate for that patient. Recently, a sales representative showed me a microarray DNA chip that tests the genes responsible for the metabolism of psychiatric drugs. This test will provide psychiatrists with valuable information, so they can better prescribe medications, increasing effectiveness and reducing side effects. Indeed, the biomedical sciences are currently experiencing a period of rapid and marvelous growth, especially with regard to new discoveries in the areas of genetics…. But if scientific research is to be directed toward respect for personal dignity and support of human life, its scientific validity according to the rules of each discipline is not enough. It must also qualify positively from the ethical point of view, and this presupposes that from the outset it endeavors to promote the true good of human beings as individuals and as a community. This happens when efforts are made to eliminate the causes of disease by putting real prevention into practice, or whenever more effective therapies are sought for the treatment of serious illnesses.